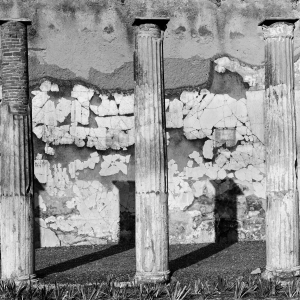 Wylie's photographs reanimate the ancient city of Pompeii, showing the ongoing cycles of deterioration and preservation that mark it as a living landscape. Wylie captures Pompeii's former grandeur, including its terracotta reliefs and wall paintings, while also drawing attention to the signs of an active excavation site, from plaster casts in glass cases to ceramic fragments in storage facilities. His elegant compositions and command of light and shadow highlight how natural phenomena, pollution, and human intervention are continually reshaping the city. People, however, are notably absent in the photographs. 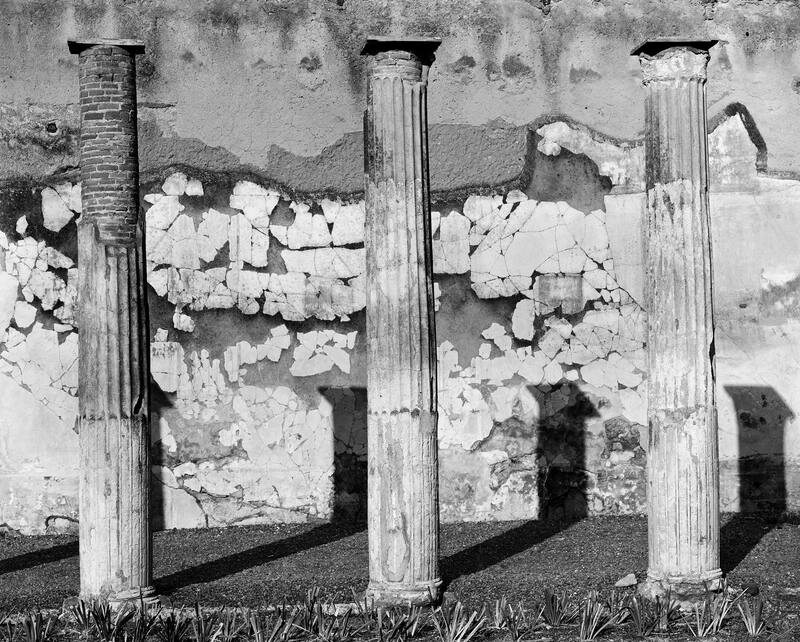 Wylie beautifully documents Pompeii's present by engaging with the tenuous relationship that the archaeological site maintains with the past.